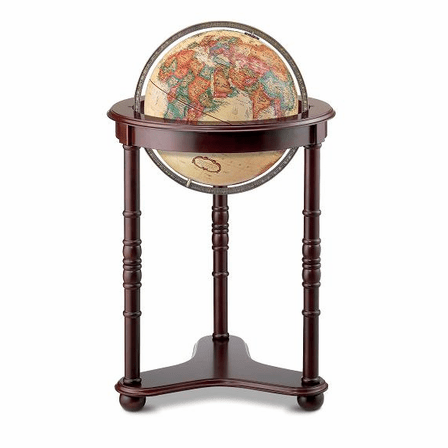 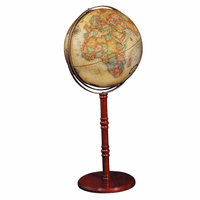 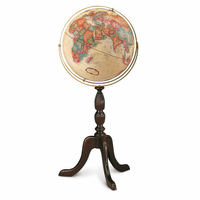 The Westminster globe, by Replogle Globes has antique style and elegant charm. 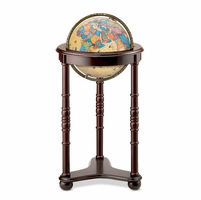 The 16' diameter ocean globe has an antique background, with richly multicolored countries, and a multitude of mapped cities around the world. 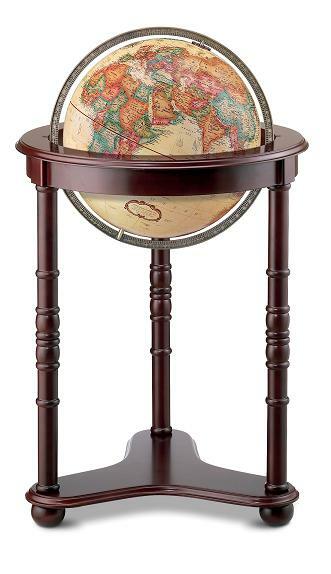 The globe is attached at the Poles with a die-cast meridian, and is set in a dark cherry-finished hardwood stand with hand-turned spindle legs and sturdy ball feet. 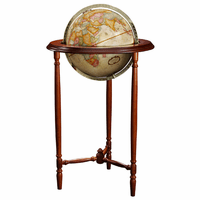 The total dimensions of this elegant floor stand are: 24' x 24' x 39'.